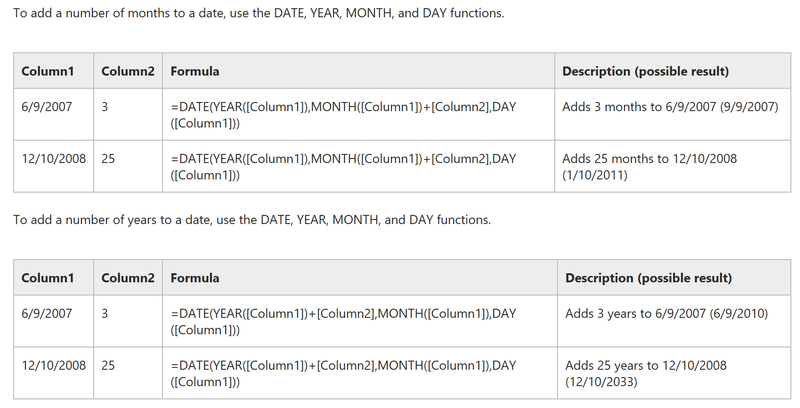 #Office365Challenge Adding days to dates is something I use often to calculate review dates in SharePoint. Let me show you how. To add a certain number of days to a column can be done in different ways. 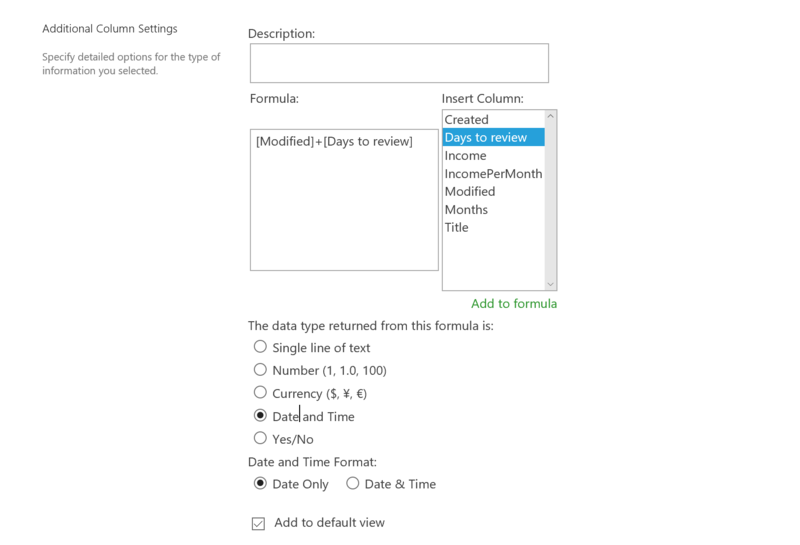 If the review date on all the documents in your library is 1 year for example, the calculated column formula could simply read “Modified Date + 365”. However, if you want to be selective on the number of days till review (per document), you would need to add an extra column for number of days (number column), and then the calculated column which adds these. A reminder about the use of Commas or Semicolons in formulas, read Day 44 – Excel / SharePoint Formulas using Commas or Semicolons for more information.